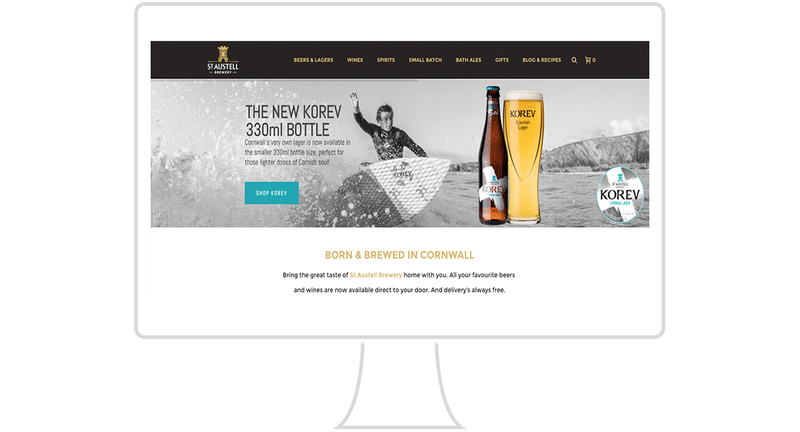 St Austell Brewery urgently needed a new, intuitive e-commerce website in time for a Black Friday launch and the Christmas season. With direction from St Austell Brewery’s Online Marketing Manager, Voice Group designed and built a fully functional shopfront in the space of two months, using existing WordPress themes and shop functionality from WordPress’ ecommerce software, WooCommerce. The new site features 80+ unique products, each with its own SEO-optimised product page – written with input from SEO specialists, Niddocks. The St Austell Brewery team can easily update descriptions and add photos, ensuring content is accurate and fresh at all times. In addition to the product pages, we designed a stylish new homepage, which allowed the brewery to showcase special offers and highlight product categories that needed more exposure, each with engaging messaging and strong calls to action.